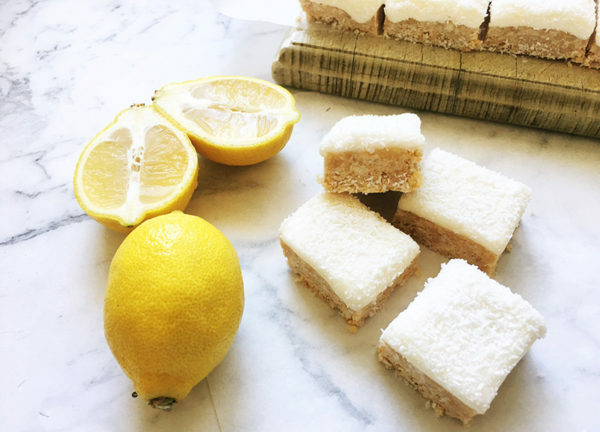 If you, like me, love all things lemony – and the zestier, the better – you’re going to want to try this recipe for lemon coconut squares! 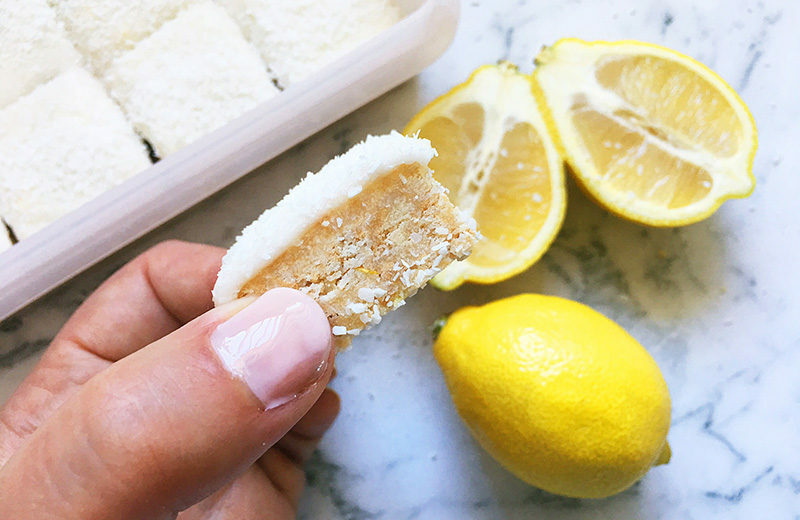 Perfect for a sweet little something, this no-bake recipe will soon be a favourite of all citrus lovers. Depending on just how tart you like your sweets from face puckering to sickly sweet, you can adjust the lemon accordingly. Grease and line a 28cm x 18cm lamington tin. 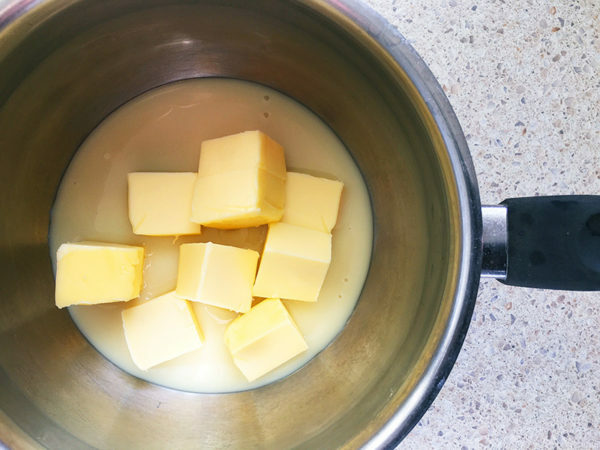 In a small saucepan, combine the butter and condensed milk. 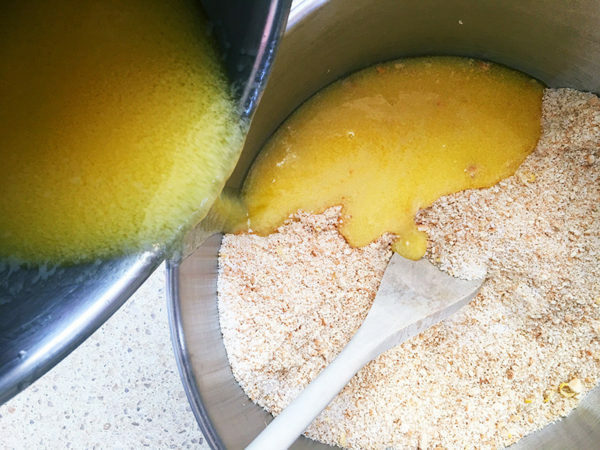 Stir over a gentle heat until butter has melted and is well combined. 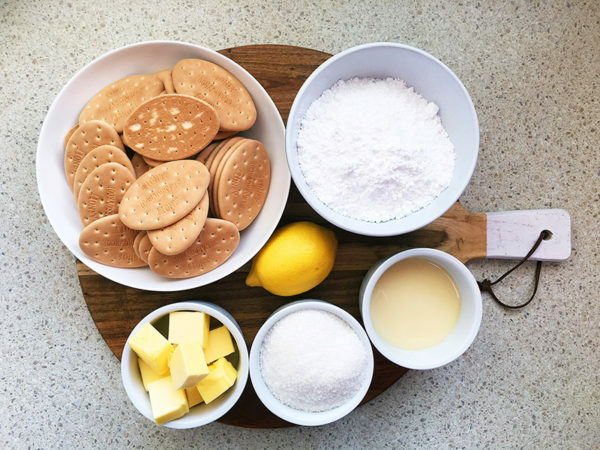 Using a rolling pin or a food processor, crush the biscuits to a fine crumb. 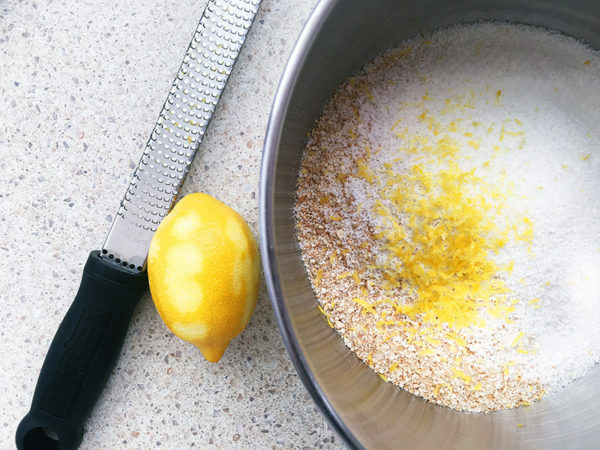 Combine the biscuit crumbs, coconut and lemon zest in a large bowl. Mix together. 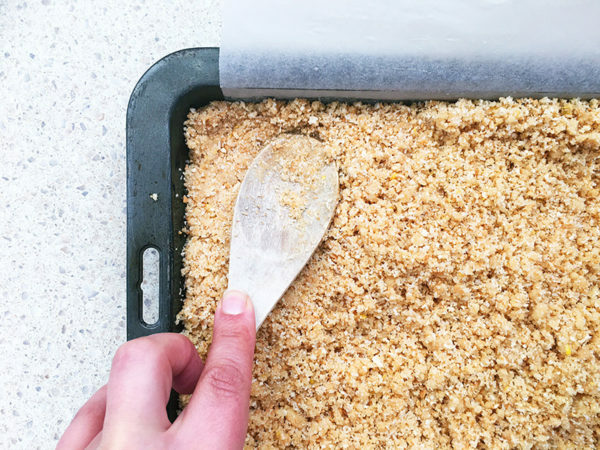 Add the warm condensed milk mixture to the biscuit crumb mix. Stir to combine. Press the mixture firmly into the prepared tin. Cool in the fridge for an hour. 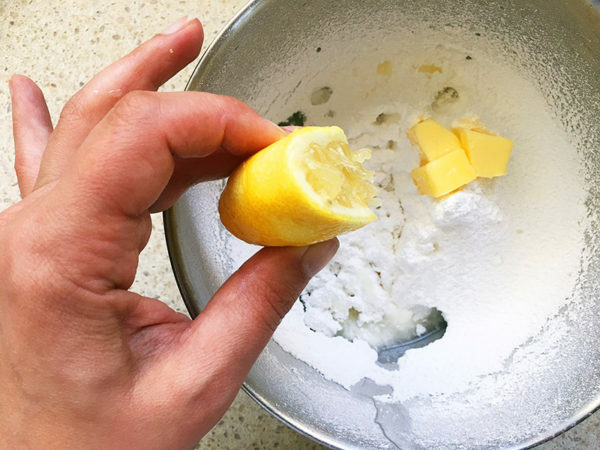 Make the icing by mixing together the icing sugar, butter and lemon juice. 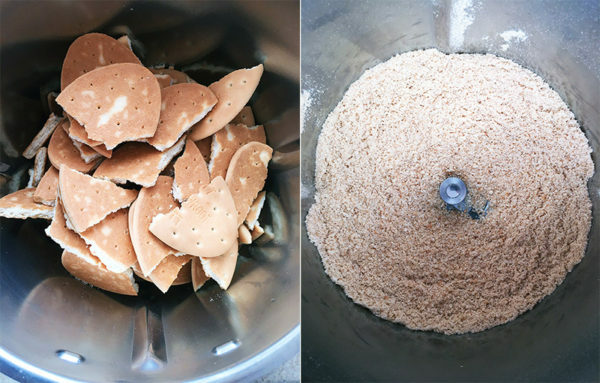 Add a teaspoon or two of water if needed to get to a smooth consistency. 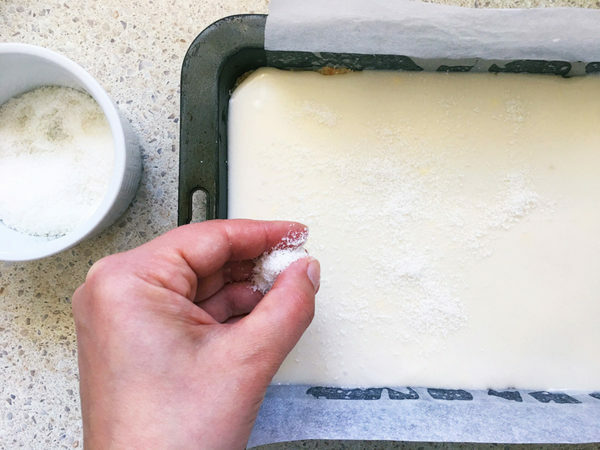 Spread the icing over the top of the cold slice base and sprinkle the top with coconut. Return to the fridge to firm up. 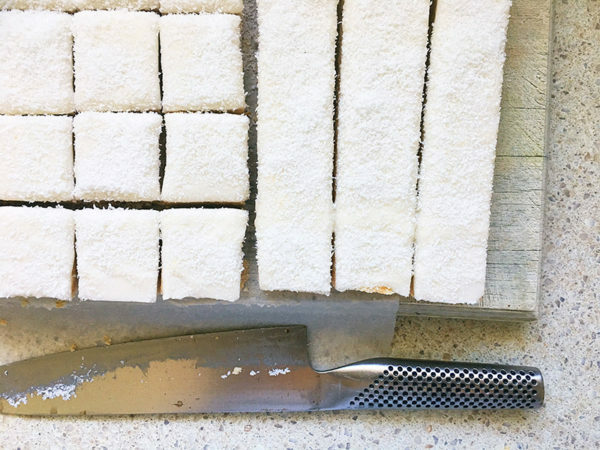 Remove from the tin and cross cut the slice into squares to serve. Yum!